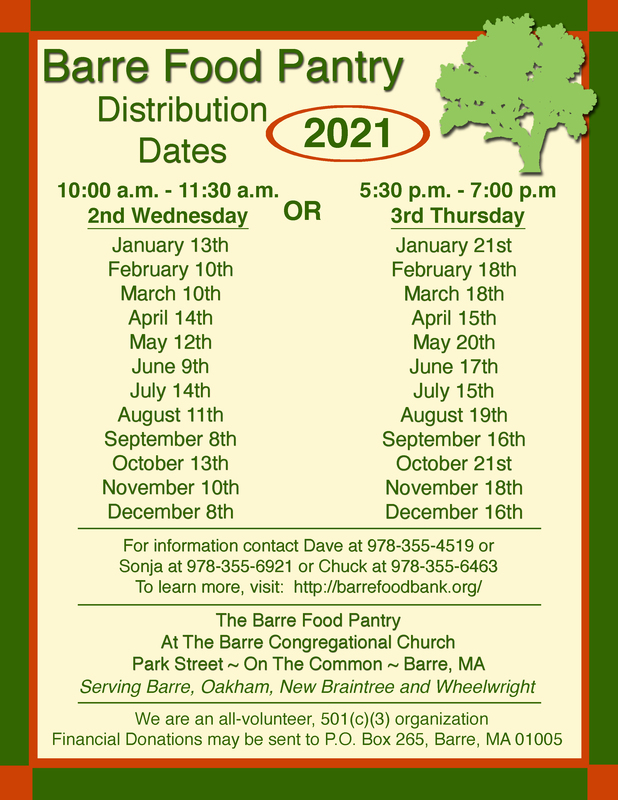 The Barre Food Pantry relies heavily on donations from people and organizations in our community to help supply food for distribution. During the year, several local groups sponsor food drives to support our efforts. If you or your group can help by organizing a food drive, please contact director David Petrovick at 978-355-4519 for more information. Ruggles Lane Elementary School collected and donated 378 pounds of food during their October food drive. Oakham Center School also held a drive and collected 170 pounds of non- perishables. Quabbin High School nutrition class will be holding a food drive on November 13-20. Contact info is dmcmorrow@qrsd.org or call Michelle Bertrand at 774-757-7888 They are looking for non-perishable foods. Please check expiration dates on the food before you donate. Ruggles Lane Elementary School hosted a food drive October 9-31. Non perishable food, health and beauty, and cleaning supplies are welcome. Contact info: Ms. Tuttle at dtuttle@qrsd.org or 978-355-2934 also Michelle Bertrand at 774-757-7888. Woods Memorial Library You can help our work in the community by Sponsoring a Food Drive, by making a donation or by giving of your time. Financial contributions may be sent to the above address.